Guy Bob Wehman is the owner of a branch of Goosehead Insurance located in Austin, TX. Guy, his staff, and the entire Goosehead team specialize in finding insurance coverage in an otherwise tough market. Guy says, “Insurance is the 2nd leading expense in the economy. Therefore, you must shop your insurance to as many carriers as possible to keep your cost down. I can help you do that”. Guy Bob was born in Austin in 1972. He graduated from Southwest Texas State University in 1995 with a degree in Business Administration with a Major in Management. 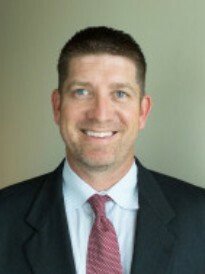 Prior to joining Goosehead, Guy spent 18 years as an Insurance Agency Owner in Austin. He and his staff are excited to be a part of the Goosehead team where he can combine Goosehead’s products and exceptional service with his 18 years of experience. As he puts it, “I can’t wait to talk to the next customer”. Outside of work, Guy enjoys spending time with his family.